Save yourself the time and effort of carrying around your charger or wrapped up USB cable with these useful phone accessories. They provide a useful and tidy solution to keeping your cables portable and easily accessible. These USB Cables are perfect for technological companies such as Samsung and Sony. Branding – These phone accessories can have your brand name and contact details easily on the side of the product making your company memorable and increasing brand exposure. With contact details on them and the memorability of the product it can be perfect for trade shows to create brand awareness. Multipurpose Adapter – To make these products even more memorable they don’t just target one type of phone producer, they cover all the market with a multipurpose adapter that allow for different connections. 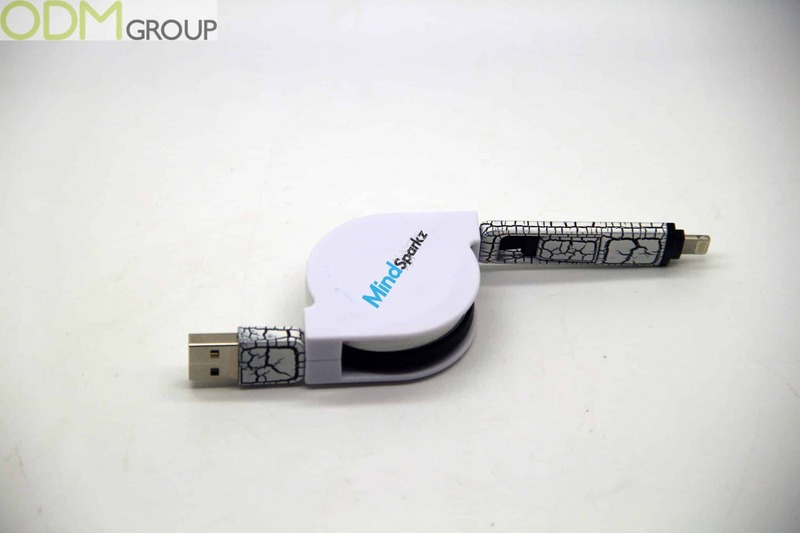 Furthermore a USB is an international connection for electronic products and can be used with almost any device. Tidy Wires – One major frustration of a laptop or generally any work space is a mass of cables tangled and getting in the way. 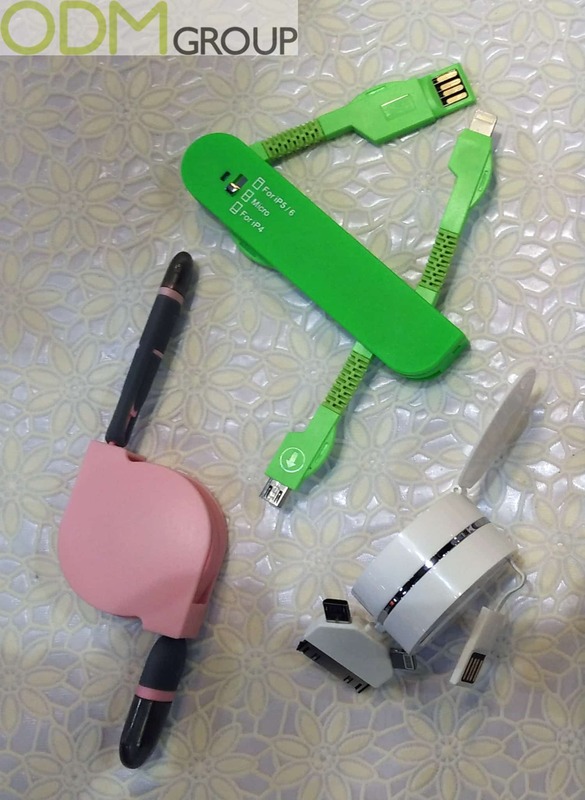 With these phone accessories they offer a simple solution to this minor but annoying problem giving the product major differentiation and attraction to customers compared to regular chargers and mobile accessories. Here at ODM we would love to get our hands on more of these phone accessories as they’d be great as a gift with purchase. If you are interested in these products or getting your own promotional product produced then contact us today. We also have a great in house design team, Mindsparkz, who can help develop your next promotional idea.